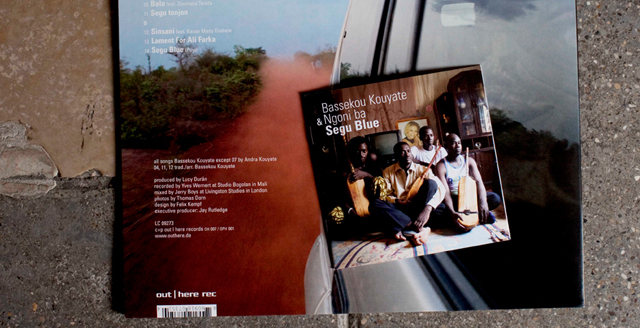 ‘Segu Blue’ is the first solo album by Malian ngoni player Bassekou Kouyate. 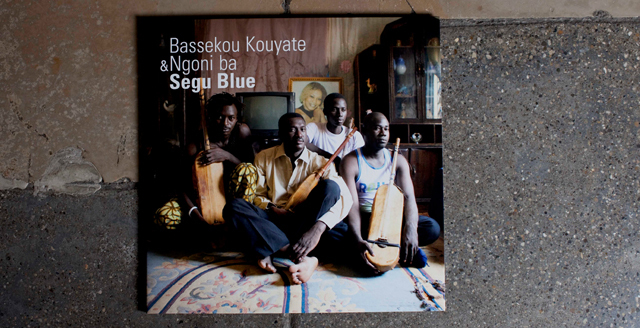 Bassekou is one of the true masters of the ngoni, an ancient traditional lute found throughout West Africa, and he has collaborated with many musicians in and outside of Mali: He played in the Symmetric trio alongside Toumani Diabate (kora) and Keletigui Diabate (balafon). He was part of Taj Mahal’s and Toumani Diabate’s ‘Kulanjan’ project, as well as being one of the key musicians on Ali Farka Toure’s posthumous album ‘Savane’ which was released July 2006. Most recently, he toured with Ali Farka Toure leaving a lasting impression on the audience as the band’s solo ngoni player. Bassekou was born in a village called Garana, almost 40 miles from Segu, in the remote countryside on the banks of the Niger River. He was raised in a traditional musical environment, his mother a praise singer and his father and brothers exceptional ngoni players. 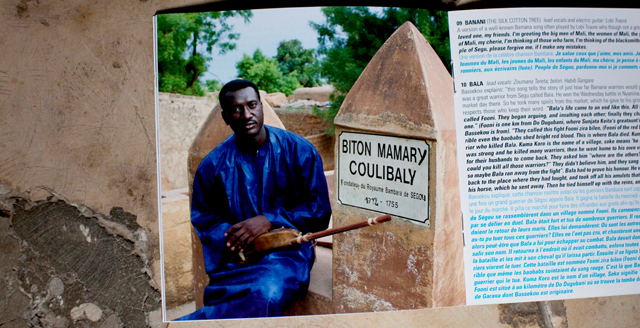 Bassekou moved to Bamako when he was 19 years old where he met the young Toumani Diabate. By the late 1980s Bassekou was part of Toumani’s trio and they recorded their first albums together, ‘Songhai’ and ‘Djelika’. Bassekou married the singer Ami Sacko (the so-called “Tina Turner of Mali”) and they have been in high demand for the traditional Sunday wedding parties that happen in the streets of Bamako. 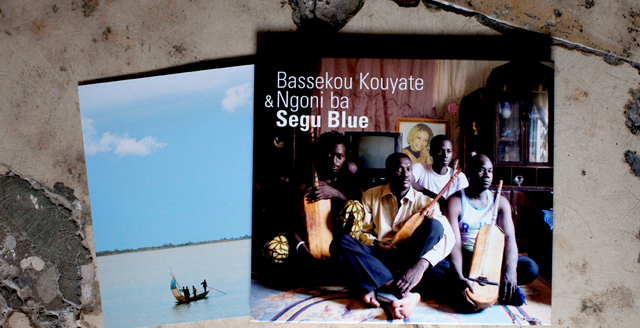 Bassekou has now he has put together his own band, Ngoni ba (meaning “the big ngoni”), Mali’s first ngoni quartet. 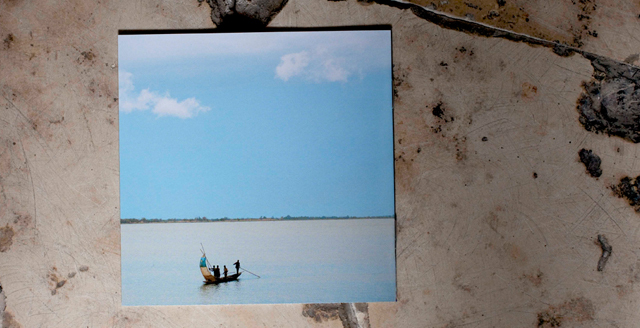 The ngoni is one of Africa’s secrets still to be discovered. It is the key instrument for the griot culture. Unlike the kora whose history goes back only a few hundred years, the ngoni has been the main instrument in griot storytelling way back into the days of Soundiata Keita (the grave of Sundiata’s grandmother who died in the 13th century is near Garana). 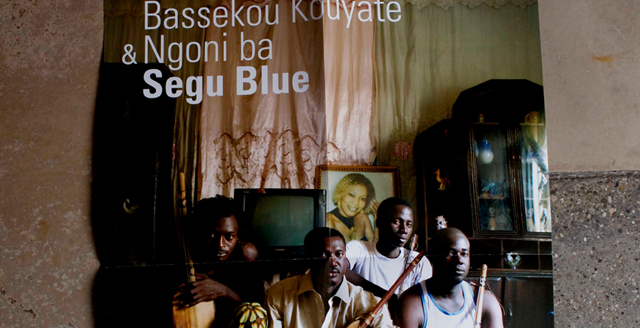 The repertoire Bassekou plays is from the region of Segu, the heart of Bambara culture. 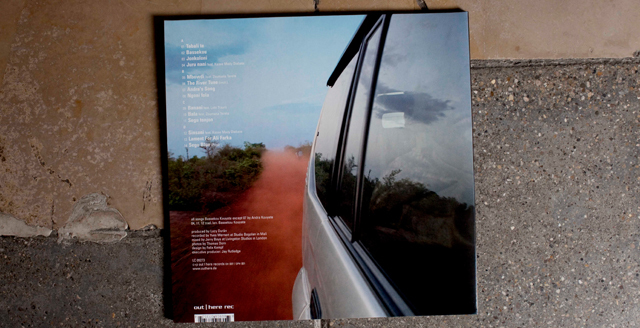 Unlike mandenka griot music, Bambara music is pentatonic in nature, a music as close to the blues as you can get in Africa. 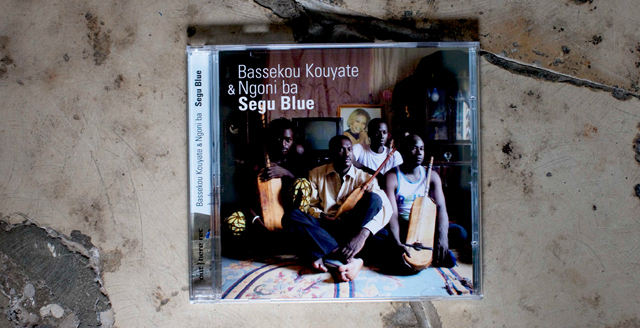 ‘Segu Blue’ features guest musicians Kasse Mady Diabate, Lobi Traore, Lassana Diabate (incidentally, there is no Kora and no djembe on this album) and singers Zoumana Tereta and Bassekou’s wife, Ami Sacko. 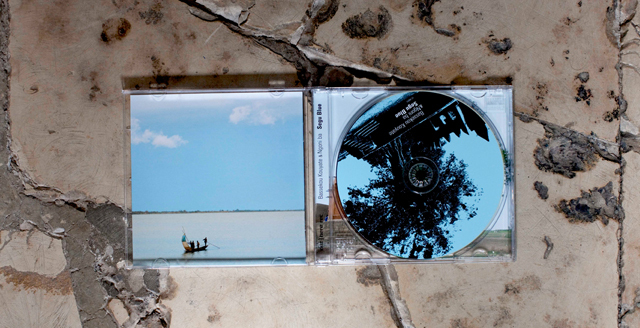 The album was produced by Lucy Durán, recorded at studio Bogolan in Bamako by Yves Wernert and mixed in London by Jerry Boys (the man responsible for recording and mixing ‘Buena Vista Social Club’ amongst others).